I’ve been bothered about something for a while, and I have an empty house, a keyboard and the ability to rectify it. It’s been brewing for a while, but came to a head when I was watching a fun Revolution passing sequence against the Columbus Crew last week. I thought about how many years I’ve been watching this team, and how many times I yearned for passes that connected and skillful play that could make a watcher grin. I saw it. It wasn’t perfect. But there was enough there for me to realize, I needed to set something straight. You see, critics are critics. And bloggers can excel at amplifying frustration. 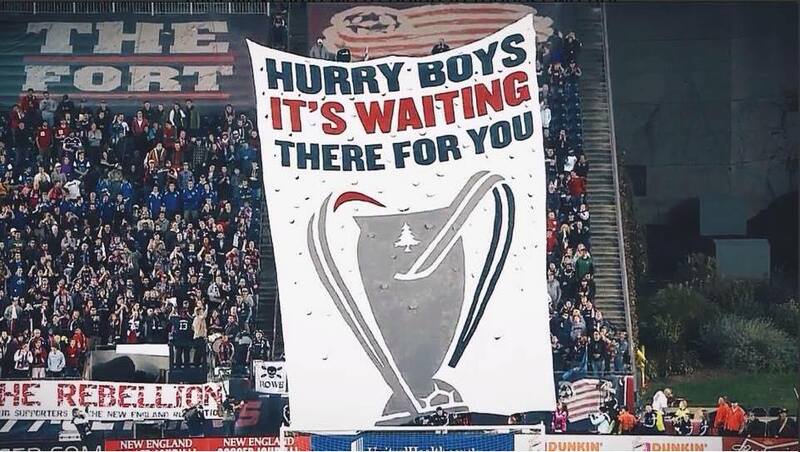 And let’s face it, the New England Revolution have proven to be a fairly easy target for criticism and a darn good creator of frustration for quite some time. Thus my last blog: The Revolution’s Familiar “Fracaso.” It talked about a history of repetitive failures (or “fracasos” in Spanish) of the Revolution to find, bring in and maintain productive, skillful and (and yes, Latin) talent. That challenge, for all intents and purposes, remains. But, for the only recent Soccer Soap Box blog to be about failures is, well, a failure considering the season this team has put together. The reality is the blog is mostly quiet now, with blame being on a very busy job, pretty crazy travel schedule and even new professional blogging responsibility. All useful excuses, but just that, excuses. 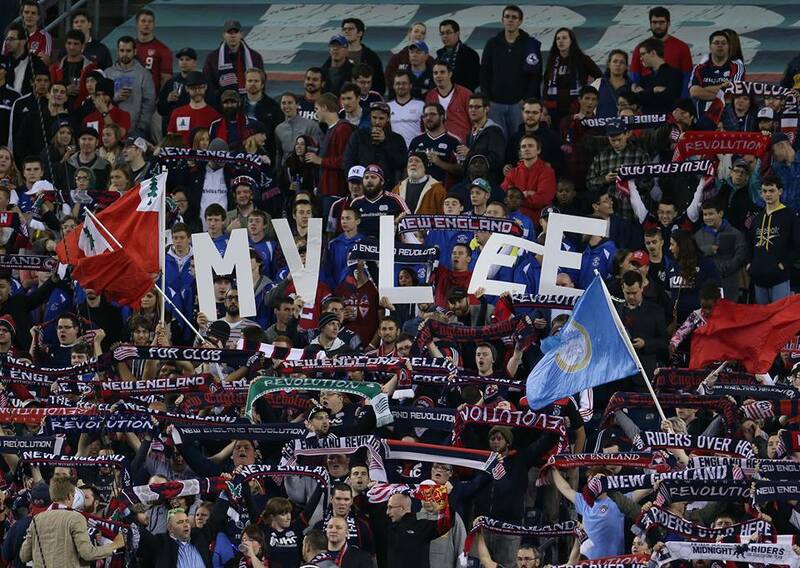 This New England Revolution team deserves a bit more. This organization and even this team still has challenges. Fine. The stadium is, um, imperfect. Our fans, generally, are low on the league’s totem poll of passion. Jay Heaps may or may not be a master tactician. Nobody ever seems quite sure of Bobby’s ability to be a leading MLS goaltender. Our owner is not, let’s call it, “as involved” as others. All, I submit, true. And there are probably more. But, none of that is worth focus right now and any team has its own wish-list. However, it turns out that there are as many, or more, things that are worthy of praise this season. Would I like to see more of a Latin influence? Sure. But I’m not going to argue with a mostly-American lineup with a heavy local New England influence. Especially not when that team tries to play the game with an attractive style, which this Revolution team does. And while certainly not a Latin player, Lee Nguyen has grown into the creative influence we all hoped he could be. He has provided a few of those, “wait, rewind that” moments that have been so hard to find for quite some time in Foxboro. League MVP or otherwise, he’s been worth watching, week in and week out. Do I worry about the passion our owner has for this team? Sure. He could be more active, vocal and yes, certainly, I (like so many others) would love a soccer-specific stadium. But let’s not pretend that it’s a simple or inexpensive proposition. And, when it counted this year, he managed to get the job done. Because it wasn’t MY money that brought what was probably the USA’s best field player in this year’s World Cup to the turf of Gillette, now was it? If I recall correctly, Jermaine Jones is the 8th highest paid Kraft player across all sports (correct me if I got that wrong! ), but does ANYONE think the retail or TV response is nearly like what a Patriot player brings? Probably not. So, an imperfect owner. But perhaps not the devil he’s portrayed as. And props need to be paid to Jermaine. Unlike so many players we’ve brought in, as Designated Player or otherwise, he immediately fit in, immediately contributed and has helped lift this team when it needed it. And you know what, he probably preferred Chicago. He hasn’t shown it. That’s professional, all the way through. And fan may have yearned for a big-name keeper to replace fan-favorite Matt Reis and continue to hem and haw about Bobby Shuttleworth’s ability to fill those gloves. But results matter, and he’s been getting it done. Coach Heaps saw something in Bobby, and made a call that he was first-team ready. That is what he’s paid to do. And at times, it’s been hard to feel confident in Coach Heaps also. But Jay Heaps has managed this team through hills and valleys and has them playing well. He may still be learning on the job. You know what? Fine. He has experienced assistants, he is diligent and he clearly “bleeds” for this team. And at this point in the Revolution’s existence, passion is more important than perfection. Jermaine fits that. Jay Heaps fits that too. And passion is a hard thing to spark. So major thanks to the supporters’ clubs for their efforts. The Rebellion and Midnight Riders battle against a stadium, a dispassionate fan base and restrictive policies that work against their success. But they haven’t stopped, they haven’t slowed and they won’t go away quietly. I thank you, personally. Because I am nearly as imperfect a fan as I am a blogger. Though I am a member of both groups, it is mostly as a small symbolic nod of my cap for their passion. I’ve not missed many minutes of Revolution soccer, but most have not been in person. Blame all the same things that have slowed the blog production, having kids or whatever other excuse fits the bill. But this team deserves credit for this éxito of a season and the supporters deserve the same continuing to expand the local passion for the game. The team isn’t perfect. Neither are the New England fans. Both, however, are showing signs of maturity that bode well for the future. Whether that future means much more action in MLS in 2014 or not, we learn tomorrow. Changing this blog from being failure-focused to acknowledging some success had to change today.